With two American folk starlets set grace Liverpool for the first time, Getintothis’ Adam Lowerson looks ahead to Stephen Steinbeck and Julie Byrnes co headline show at Studio 2. American singer songwriters Stephen Steinbrink and Julie Byrne are set to perform at Studio 2 on September 12 for Harvest Sun Promotions, as a part of a co-headline UK tour. The run of dates comes off the back of both artists performing at this month’s End of the Road festival. Their pair of singers, who have been described as “two of America’s great young wanderers“, have enjoyed growing reputations in the past year, having both released breakthrough records. The performance will be the first time either have played in Liverpool. Steinbeck’s stock has risen hugely over the past year since the release of his album Arranged Waves on Melodic Records, with the record being praised highly by both the NME and the Guardian. Although the 26 year old folk starlet has released seven full length LPs since 2007, Arranged Waves was the first to be available in the UK, with the majority of his previous records being self released or only available on underground US labels. His intricate folk style and storyteller songwriting is said to be inspired by his extensive touring around North America and Europe for the past decade. 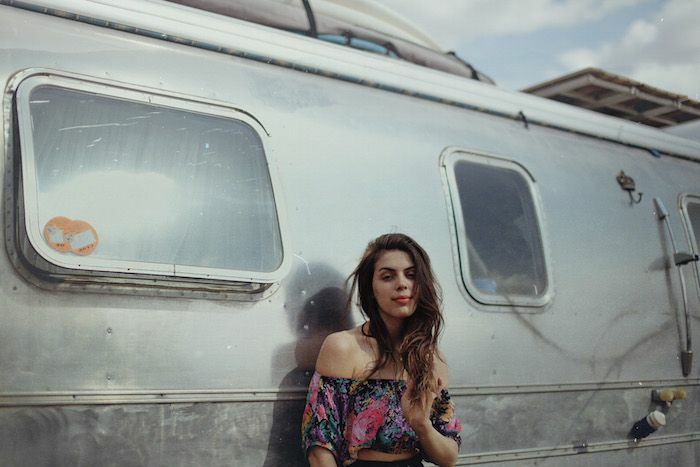 Julie Byrne, who has received similar levels of praise throughout the past couple of years, is a complete newcomer in comparison to Steinbeck having only released her debut album Rooms With Walls and Windows last year. The record was a huge critical success and was named at number seven in Mojo’s albums of the year list. Tickets for the show are available now online and from Probe Records and The Brink.